April 1 marked the one-year countdown to the launch of the decennial census in 2020. There is growing interest among local and regional governmental entities, businesses and nonprofit groups in preparing for the implementation of this federal project that informs the allocation of billions in federal funding to states and localities and determines congressional representation. States use the totals to redraw boundaries for their legislative districts. Census statistics are used in planning for schools, roads, health care facilities and senior centers. Local governments use the census for public safety and emergency preparedness. Businesses use census data to decide where to build or expand businesses, housing development and other enterprises. Census data also provides information on who lives in the area and the number of educated and skilled people in the workforce. Given the importance of the data collected, states and communities are making plans for ensuring a full and accurate census count, and similar efforts are underway in the Kansas City region. The Mid-America Regional Council (MARC) will guide a KC Regional Census Campaign that will coordinate planning and strategy development, and serve as a communications resource to local governments and other groups interested in supporting the effort. To mark the one-year countdown, MARC has launched a new website that will maintain information on the U.S. Census Bureau’s data collection process and timeline, key messages, partnership opportunities and other tools. The MARC regional planning efforts are being supported with grants from the REACH Foundation and the Health Forward Foundation. More locally based activities are being led by city and county governments throughout the region, with attention focused on identifying outreach and communication partners that can identify barriers to completing the census and particularly populations at risk of being undercounted next year. In addition, REACH is among a group of area foundations that have formed a workgroup to determine how philanthropy can contribute to a complete count. 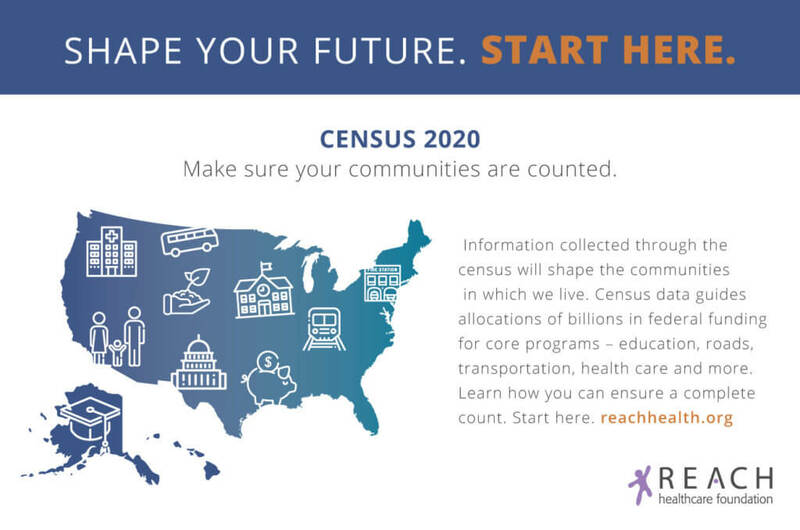 The REACH Foundation has placed preparation for the 2020 Census on our 2019 policy agendas for Kansas and Missouri to encourage policy makers to dedicate resources and promote local participation so that the two states can gain the maximum benefit. While many states have established complete count commissions and set aside funds in their state budgets to support the census, there’s still time for Kansas and Missouri to get up to speed. We’re encouraging local governments, business groups and civic institutions to partner in preparing for what’s to come in 2020. Find more information at census2020kc.org.